As far as educational worksheets go, I’m really picky with what I’ll spend money on. I searched and searched for a number of the day packet I liked, but I couldn’t find any that I was completely jazzed about (or was willing to pay the listed price). So I made my own. They’re aligned with the Common Core (for example, 2nd grade works on “100 more than” and “100 less than”) and best of all, they’re FREE! 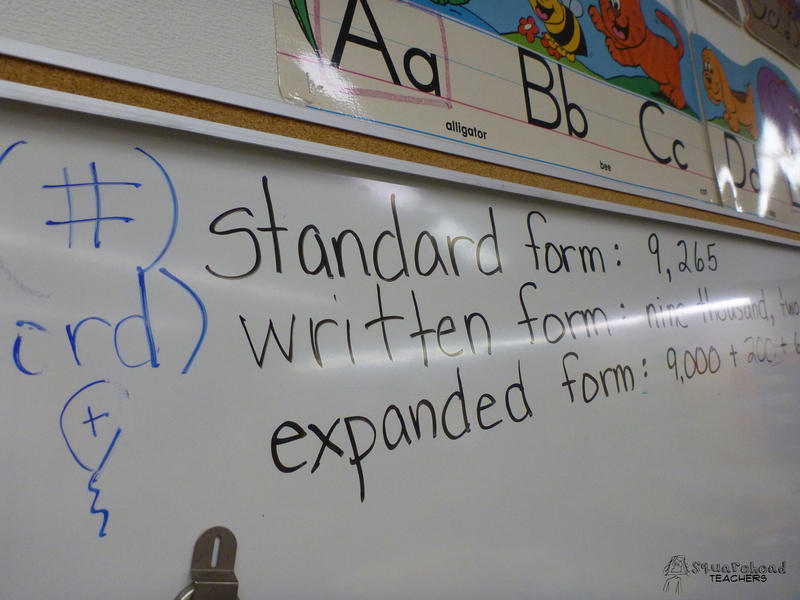 * Be sure you know what’s on each worksheet before choosing a number for the day. 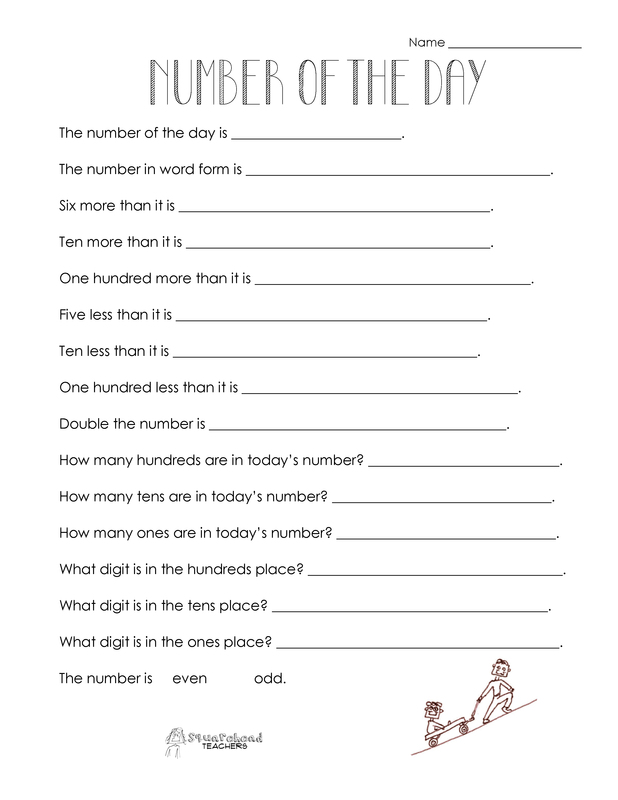 Some worksheets ask for “100 less than” and it would confuse younger grades if the number of the day was 17. * The PDF presents the pages in order of difficulty, starting with the easiest. I didn’t number them, because I was afraid a student would think the worksheet number was the number of the day. I suggest printing them all off and labeling them with a sticky tab so you know what order they go in. *Number 6 and 7 aren’t all that different. The only difference is one question clearly asks for multiplication, where as the previous 5 worksheets allow the option for repeated addition (double or triple the number). This entry was posted in Addition, Math, Multiplication, Subtraction and tagged Common core, Education, Elementary School, Homeschool, Math, numbers, Teacher Resources, Teachers, Teaching by Squarehead Teachers. Bookmark the permalink.